Christadelphians believe that the Bible is the only source of authority for our beliefs. This means we believe it is very important to read it regularly, and be guided by its inspired words. We believe that being familiar with it is essential if one is to discover — and remember — God’s revelation of Himself and His purpose. For example, Bible verses such as Psalm 119v105 show that the Bible gives moral direction for the life of a Christian. You might also like to look at our Beginner’s Guide to Reading the Bible. Many Christadelphians use a carefully-designed reading plan to help with Bible reading. It is available here. By following the Bible Companion the reader is led, in small portions, through the whole Bible in a year. The Old Testament is read once every year, and the New Testament is read twice. It is important to read both Testaments. Why?) The plan starts on 1 January in the Book of Genesis, Book of Psalms and Book of Matthew and works its way through the scriptures as the year goes along providing around four chapters per day. 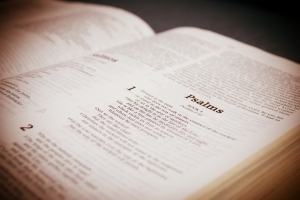 Although the Bible Companion was developed over 100 years ago by the Christadelphians it is still widely used, year by year, within the community. Some ecclesias (individual churches) read some of the allotted chapters of the Bible as found in the companion during their Sunday services. 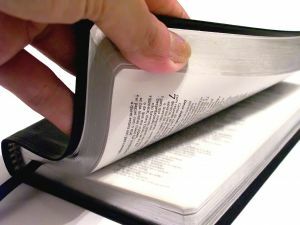 Many people have the Bible Companion printed on book marks so they can easily find and follow the day’s readings. Use of the Bible Companion is down to the individual’s choice. Some advice on different versions of the Bible is here.